Starkovich loved unions, children, flowers….despised redbaiters, unionbusters! SEATTLE—Nearly 200 people gathered at the Urban Horticulture Center on the University of Washington (UW) campus, Mar. 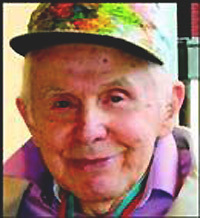 9, to honor George Tony Starkovich for his lifelong work as a union organizer, an activist for jobs, peace, and equality. Starkovich died February 26 at age 91. His family, including his widow, Pat, were in the crowd for the celebration. Daffodils and ornamental trees that George Starkovich once tended were coming into full bloom on campus. Born April 27, 1922, Starkovich became a coal miner at age 15, following his father into the mines near Bellingham, WA. He became class conscious and kept that understanding the rest of his life. His parents were immigrants from the town of Lic, Croatia and Starkovich visited his relatives there over the years. Robby Stern, President of the Puget Sound Advocates for Retirement Action (PSARA) called Starkovich “a passionate man” fired by a love of working people and their unions. David Loud, a staff representative of Rep. Jim McDermott (D-WA) read a letter from McDermott hailing Starkovich as “salt of the earth. Loud told the crowd details of Starkovich’s combat with HUAC. When the witch-hunt committee came to Seattle in 1954 they attempted to grill Starkovich on his leftwing affiliations. George had served as a medic in the South Pacific during WWII. When a bomb exploded, Starkovich continued to treat wounded GIs even though he himself was wounded. He won a Purple Heart and a Bronze Star for bravery. Starkovich was cited with six counts of “contempt of Congress.” In the years that followed he and dozens of other leftwingers, including members of the Communist Party, were hounded and harassed by the FBI. His daughter, Patty Starkovich, told the World, that her dad was fired 17 times during a two-year period. Finally, she said, Joe Forza, an immigrant Italian gardener hired Starkovich in 1957 and resisted all FBI pressures to fire him. Later, he worked as a self-employed gardener. In 1965 the UW hired Starkovich as a full-time gardener. (U.S. Judge, George Boldt, ultimately threw out all the contempt charges. Boldt later handed down the landmark ruling that the Indian tribes of the Pacific Northwest are entitled to half the salmon catch each year). Greg Devereaux, Executive Director of the Washington Federation of State Employees, said Starkovich organized the UW gardeners from about 200 members to 1,000 members. 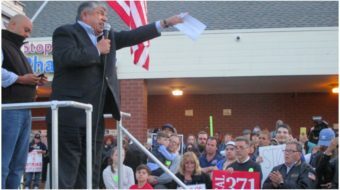 Starkovich was repeatedly elected vice president and president of AFSCME Local 1488. Under his leadership, Local 1488 won its first contract with the UW. He led the fight for equal pay for women and secured jobs for women in previously all-male job categories. Libby Sinclair said she and her family moved into an apartment downstairs in the same house with Pat and George Starkovich. Soon they became surrogate grandparents to her children and trusted friends they discussed political issues with. “We knew we could always trust George because his instincts were so clear,” she said. Sinclair is a 5th grade school teacher and often invited Starkovich to speak to her classes about issues confronting the nation. “He never said no,” she said. 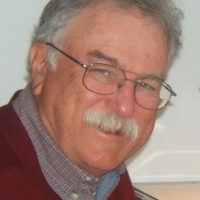 Photo of George Tony Starkovich courtesy the family.